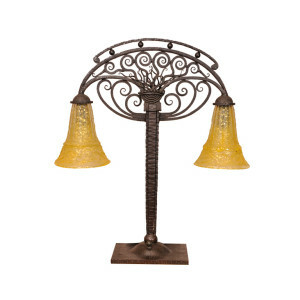 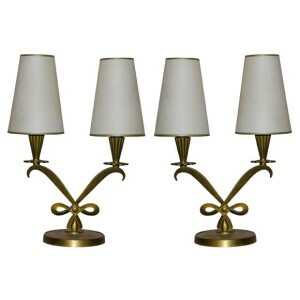 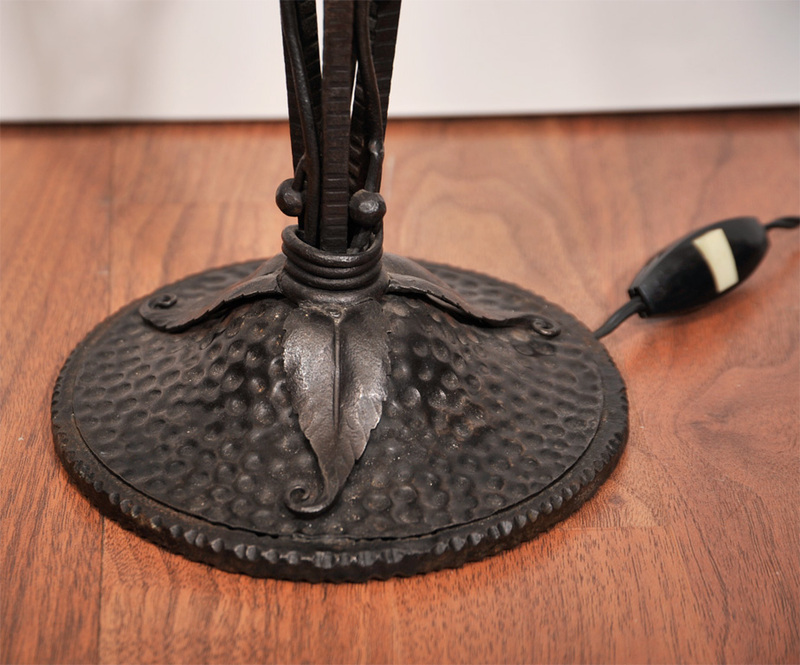 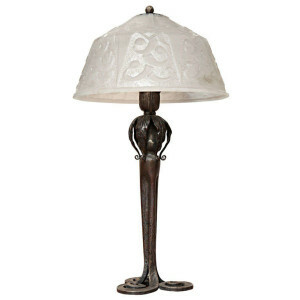 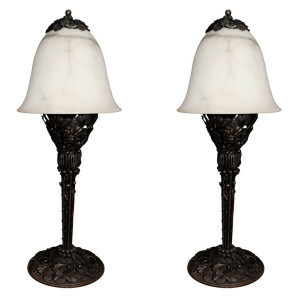 French Art Deco pair of table lamps, with pierced spherical wrought iron bases and decorated with garland of mistletoe. 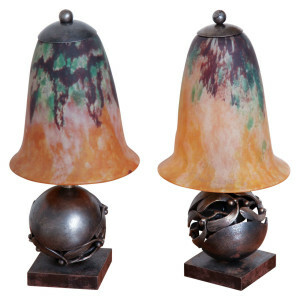 Marbelized glass shades with orange and green tones, c. 1925 Similar model reproduced in: Joan Kahr, “Edgar Brandt, Master of Art Deco Ironwork”, Harry N. Abrams Inc. Publishers, New York, 1999, p. 114.
clear and frosted glass, with a geometric interlace motif base and a frosted glass rectangular ribbed shade. 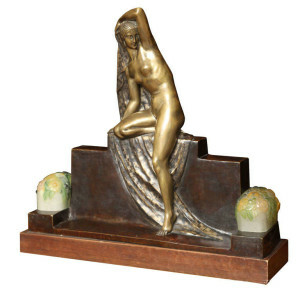 Circa 1926 Felix Marcilhac no. 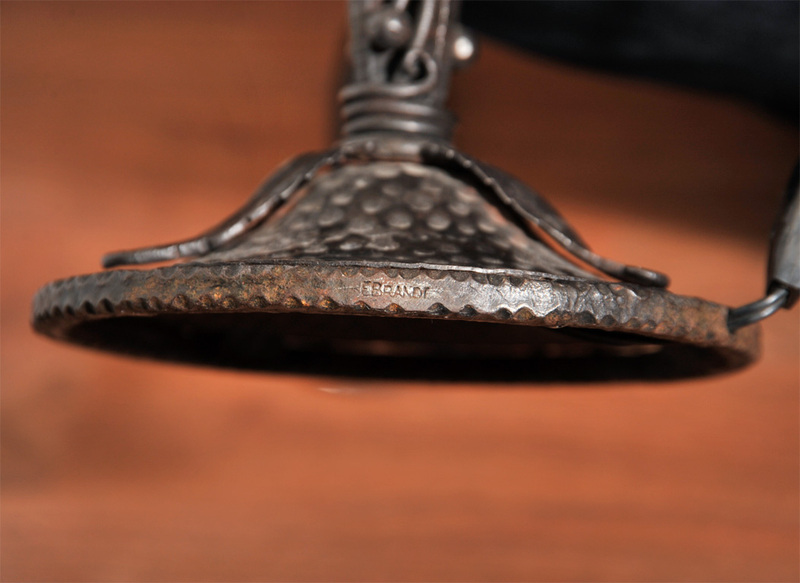 2161. 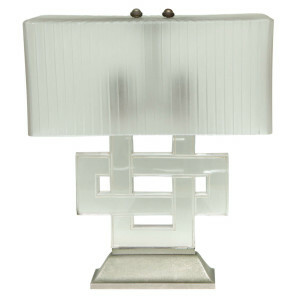 Glass shade damage professionally repaired. 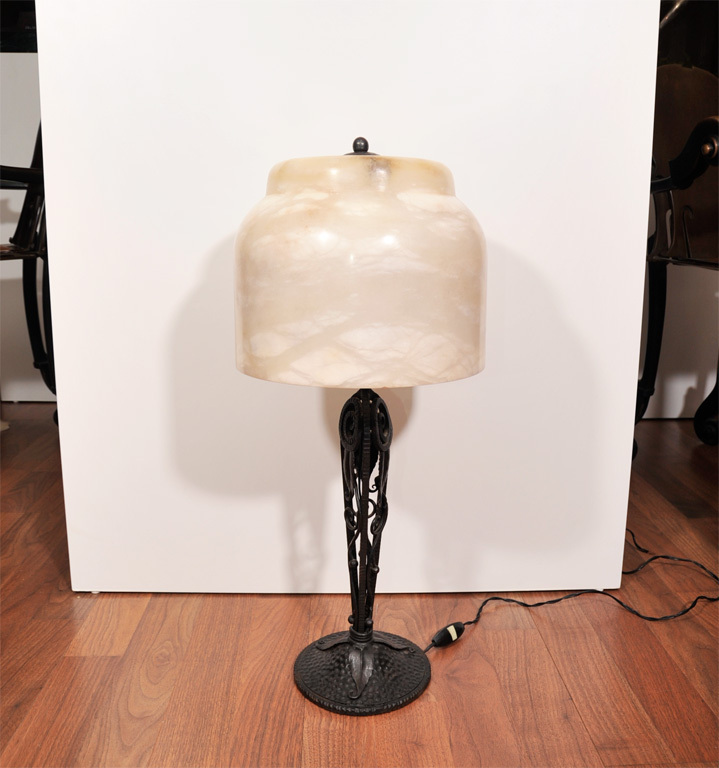 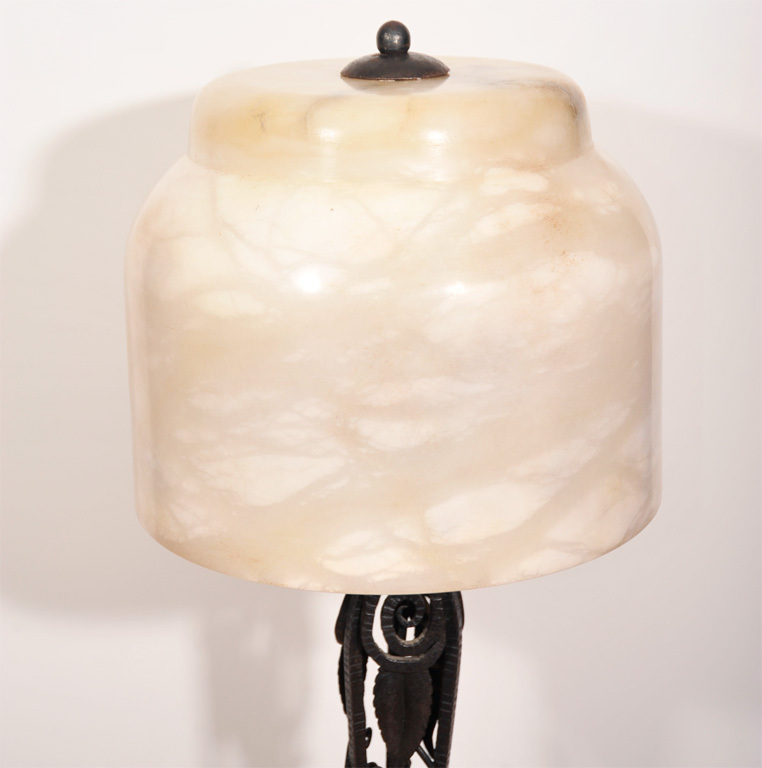 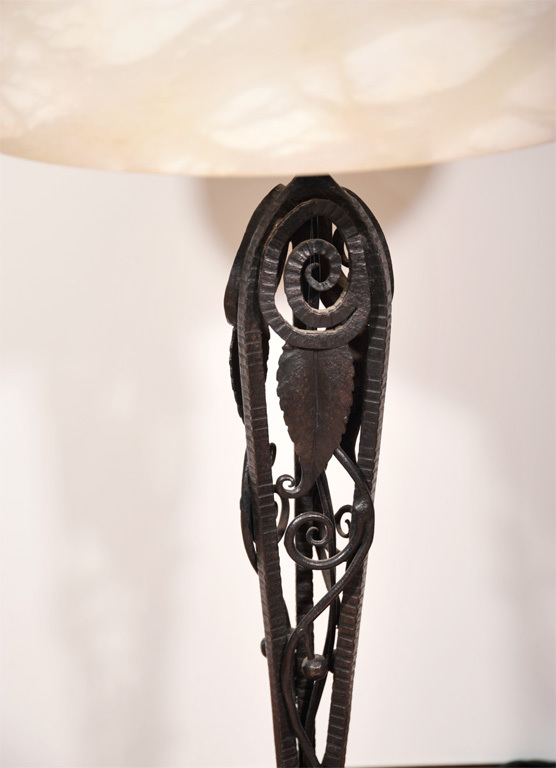 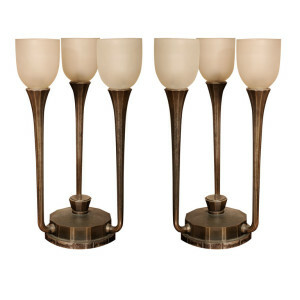 A Pair of two-armed French Art Deco Table Lamps from circa 1930’s by Genet et Michon. 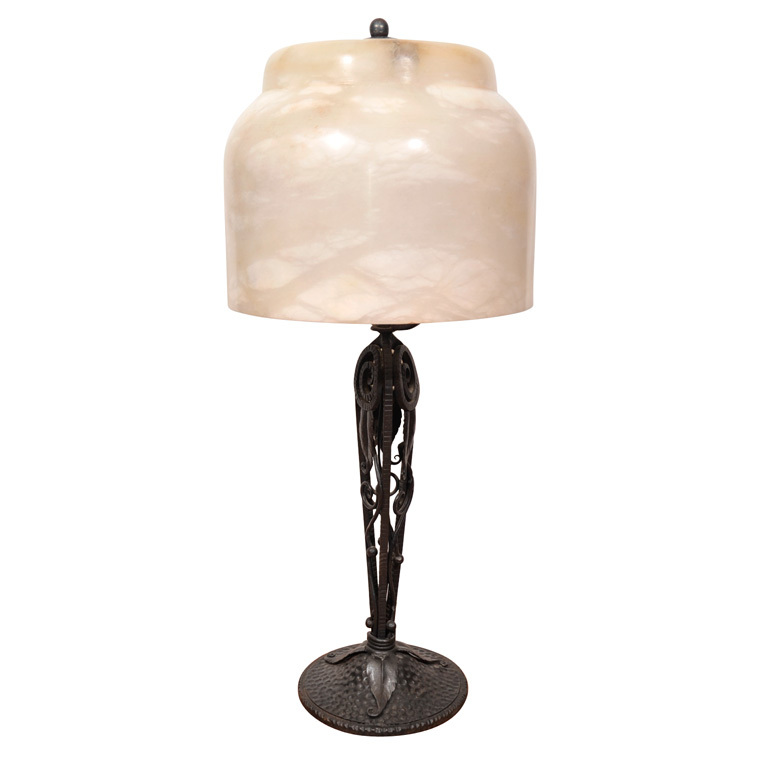 In Gilt Bronze with Parchment Shades.